The objective of the KivaQ development workshops (former Metal Age) is to improve the company’s total productivity and profitability through good work wellbeing. The creative workshops result in concrete, custom-made, practical actions for improving wellbeing at work. 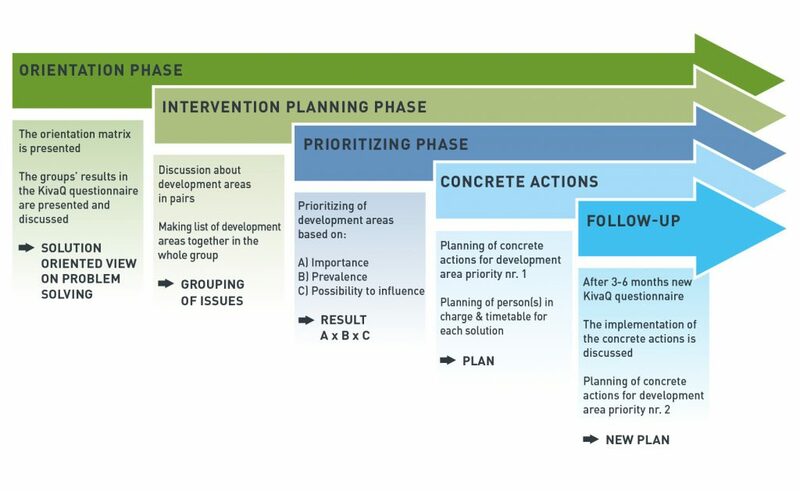 An important part of the KivaQ method is the follow-up and continuity of the development. The workshops make use of the method developed by Ove Näsman which is scientifically and in practice proved to be effective. Workshops can vary from 1 to 2 days. The most important and suitable areas of development and actions will be found in the workshops. The prioritizing is a crucial part of the workshop as it brings the team together with each co-worker taking active part and deciding on the most important area of development, which also increases the commitment to the common goals. The method is not based on existing answers but will help the participants to find solutions together to develop their common work wellbeing. A systematic follow up (2-3 times with a 3-6 month interval) supports the team to follow through and execute the actions as agreed in the development workshop. 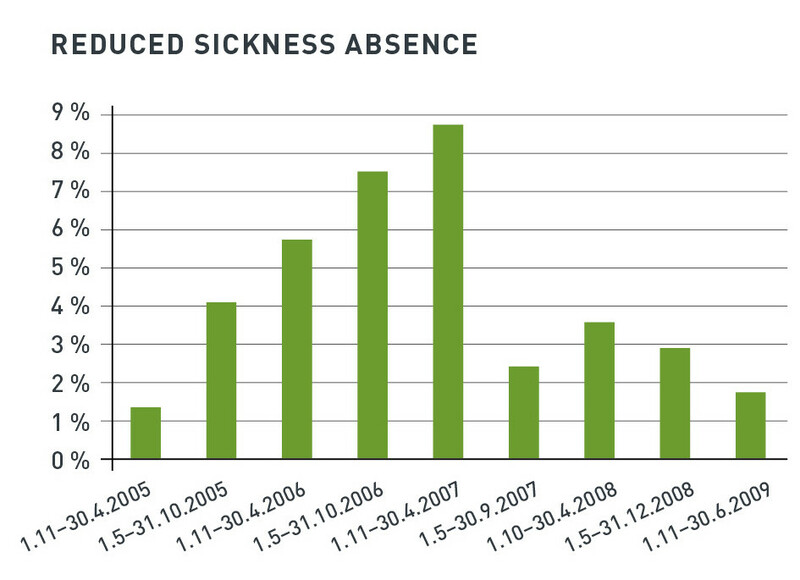 Our client company decided to cut the increase of sick leave. The development of workplace wellbeing was initiated in January 2007. KivaQ workshops have been used and continue to be used successfully in all industries and among employees of all ages. The workshops can be used in organizations of all sizes as well. KivaQ was created by MD Ove Näsman, an occupational health specialist and professor emeritus Juhani Ilmarinen from the Finnish Institute of Occupational Health. KivaQ is collaborating with Hotel Kasnäs, situated in the heart of the beautiful Turunmaa archipelago in southwest Finland. Development workshops are regularly arranged in Kasnäs. The workshop participants therefore have the possibility to enjoy the beautiful nature as well as the wellbeing services of the spa. KivaQ has trained professionals specialized in executing workshops all around Finland. Read more about KivaQ facilitators here.